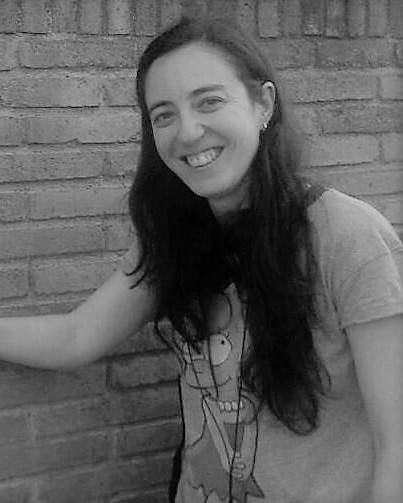 Laura Rodríguez Navas (Ripoll, 1987) graduated in informatics engineering in 2017 from the Universitat Politècnica de Catalunya (UPC), Spain. She worked as an undergraduate engineer at VENCA (Vilanova i la Geltrú, Spain) in 2014, and at Facultat de Matemàtiques i Estadística (FME) from the Universitat Politècnica de Catalunya (UPC, Spain) in 2016. During 2016, was an assistant professor of Bioinformatics from the Universitat Pompeu Fabra (UPF, Spain). She joined in the Centre Tecnològic de Telecomunicacions de Catalunya (CTTC) in 2017. Currently, she is an assistant researcher of the Optical Networks and Systems Department in the Communication Networks Division. She still collaborate with the Universitat Politècnica de Catalunya (UPC, Spain) for the department of computer science. R. Muñoz, N. Yoshikane, J. M. Fabrega, L. Rodríguez-Navas, R. Vilalta, D. Soma, S. Beppu, S. Sumita, R. Casellas, R. Martínez, T. Tsuritani, I. Morita, SDN-enabled Scaling up/down of SDM Super-Channels Exploiting Spatial Modes with Adaptive MIMO Equalization and Modulation Format Assignment , in Proc. of Optical Fiber Conference (OFC), March 3-7, San Diego (CA), USA., . J. Luís Balcázar, M. Ely Piceno, L. Rodríguez-Navas, Decomposition of quantitative Gaifman graphs as a data analysis tool , in Proceedings of the 6th International Symposium on Intelligent Data Analysis (IDA), 24-26 October, 2018, Hertogenbosch ( Netherlands).